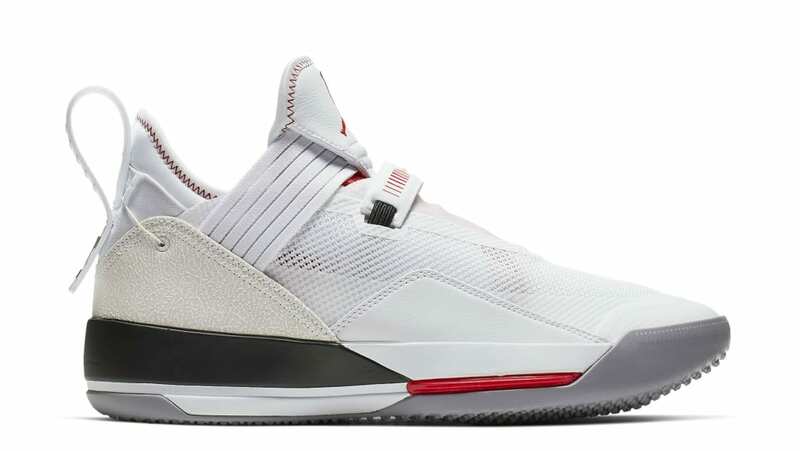 The Air Jordan 33 Low will debut in a clean white textile upper with a white midfoot strap, a red Jumpman logo on the tongue, white elephant print on the heel counter, which sits atop a white and black midsole, and a grey outsole. Release date is Apr. 4, 2019 at a retail price of $160.